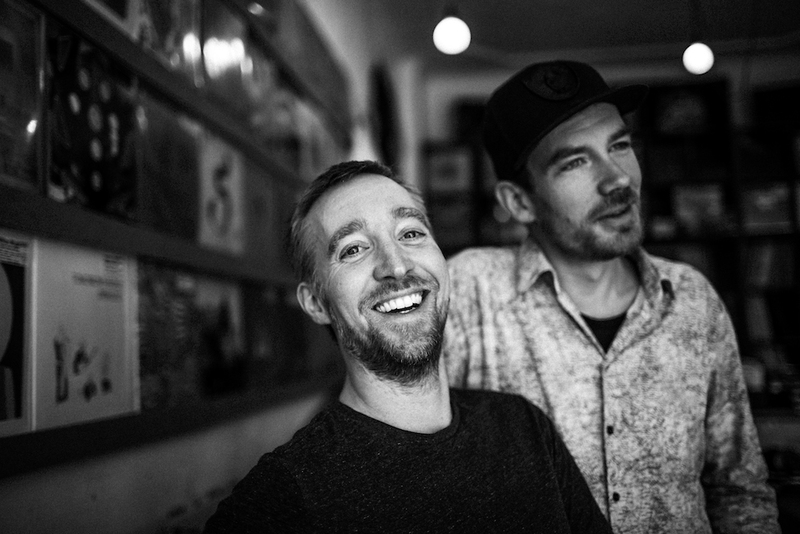 German Duo Session Victim Take Us Inside Their Studio. Session Victim are back with a vengeance with their new LP ‘Listen to your Heart’! An eclectic journey across 13 cuts, Hauke Freer and Matthias Reiling have put together someting expressing their vast musical tastes and influences that’s sure to top album of the year lists. We’ve wanted to know just what goes down inside their studio for a while.. So we sat down with the guys to learn more about where the magic happens. There’s different tools for different jobs, so that’s hard to pick and always changes. We just got an upgraded firmware for the Matrix 6 which makes it possible to control the filter and envelope curves in a much smoother fashion, so we have been doing a few things with it recently that were not possible before. We might start out listening to newly bought records and just collect little bits and pieces from there. Other times we start by programming rhythm or go from an idea on the guitar/ bass. A lot of times it’s the melodic sample parts first, as everything else has to follow the tuning. What piece of studio equipment or production process defines your sound? It’s really a combination of all, isn’t it? The Moogerfooger Lowpass often takes a prominent part in our productions, as well as the Akai’s. Then the electric bass, if we decide to use it on that specific track. When we switched to our two RME soundcards and got a patchbay, it was a massive step for our workflow since we don’t have to repatch cables the whole time. The last two additions were the Minilogue and the BigSky – both fantastic tools in their own right, that have been used loads since we recruited them. Great gear is fantastic to have, but, thanks to the highly developed DAWs of today not a must at all. Try out stuff that you think about buying – an expensive SP1200 might not be the thing for you, even if half of your heroes used it. It could be though… In the end, it’s mostly your ideas that make the beat – the tech nerds can laugh all they want about Fruity Loops or whatever. Our new full length Listen To Your Heart is just out and you should definitely check that one! We put a year of blood, sweat and tears into this one and are very happy with how it came out. Hope you can feel that! Session Victim’s latest release “Listen To Your Heart” via Delusions Of Grandeur is available now at Traxsource: ‘HERE’.